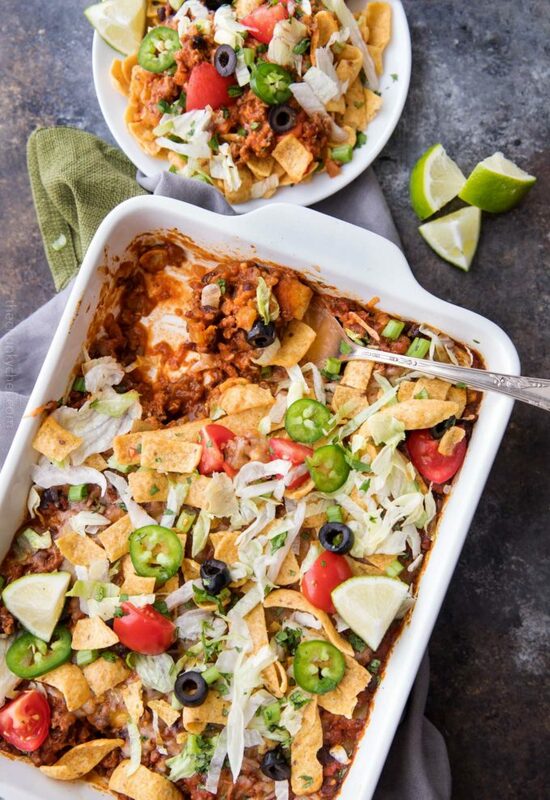 This beef and bean taco casserole is a fun twist on taco night, and is a great way to feed a crowd or hungry family! Freezer-friendly, this recipe is also great for meal-prepping or taking to a friend in need! 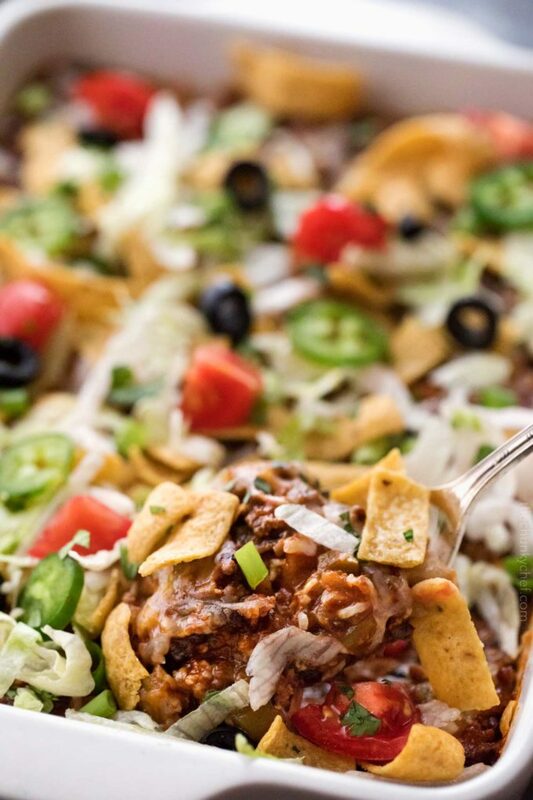 If you’re looking for an amazing way to jazz up a regular taco night, this beef taco casserole is the recipe for you! A mixture of seasoned ground beef and black beans is mixed with salsa and cheese, then baked until hot and bubbly. Play around with toppings like shredded lettuce, chopped tomatoes, sliced black olives, jalapeño slices and more! 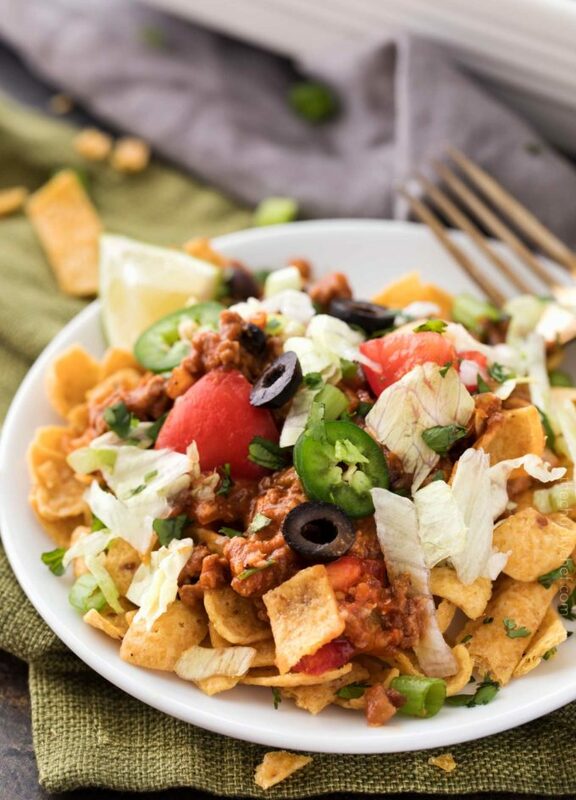 My favorite topping is some crunchy Fritos corn chips… it gives this taco casserole a “walking taco” feel, which my kids just love! It seems like every region here in the U.S. has a type of food that it’s known for. Here in the Midwest, I think if there’s one thing we’re known for, it’s the casserole. Of course, other places in the country serve up casseroles too, but Midwesterners will turn anything and everything into a casserole! 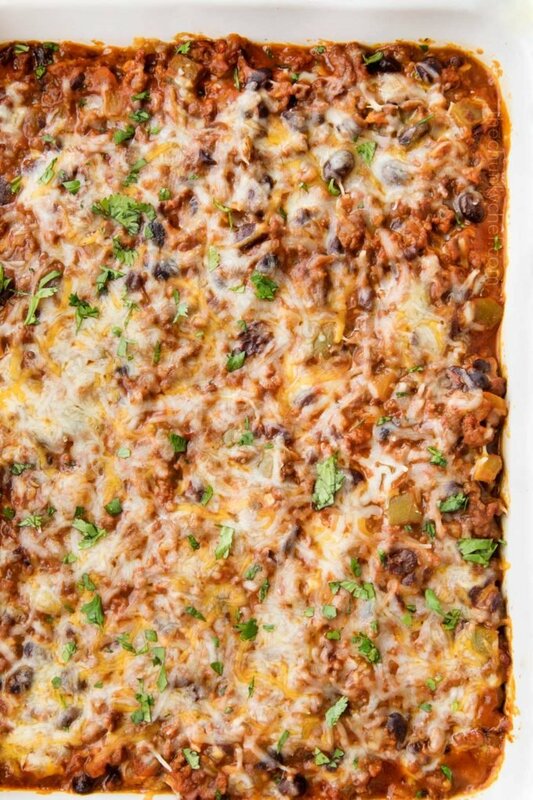 Dishes like this beef taco casserole are amazing because they’re easy to put together, make-ahead/freezer-friendly, they’re ultra comforting, and kids love them. Doesn’t that make you just want to dig in? It’s everything you love about tacos, but in a super-comforting casserole form. My version uses ground beef, and that 2 pounds of meat is stretched farther by using black beans as well. Normally I use a package of taco seasoning, but if you have a homemade seasoning blend that you love, feel free to use that! As written, this recipe isn’t exactly healthy or figure-friendly, but with a few substitutions you could make it lighter. 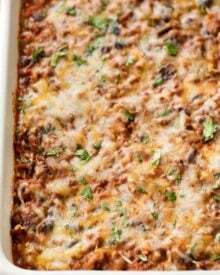 Swapping regular ground beef for extra lean ground beef, or even ground turkey would be a great way to make this taco casserole healthier. I promise, you won’t even be able to tell! Using reduced-fat shredded cheese is another way to lighten up the dish. Also, to reduce the sodium content, make sure you’re using reduced-sodium canned ingredients. 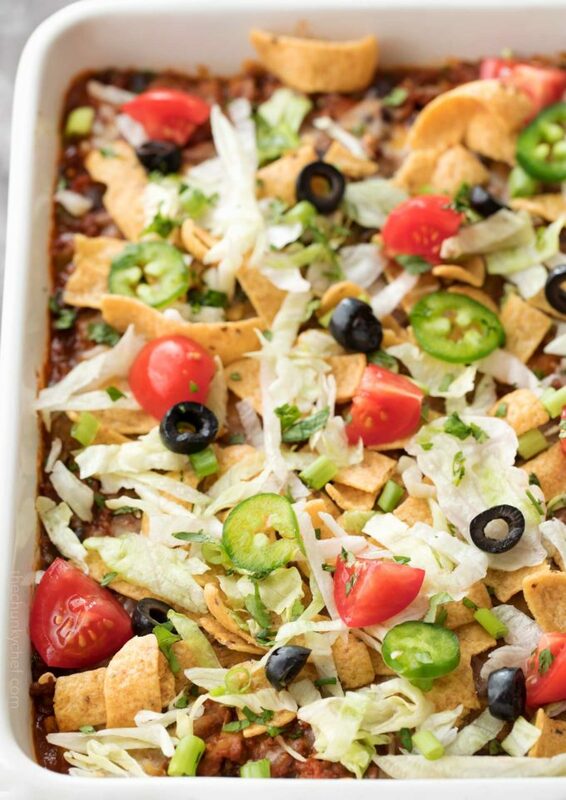 Feel free to play around with the toppings too… whatever you like on your tacos, will go perfectly on top of this casserole! Ohhhh absolutely! Nacho cheese Doritos, Cool Ranch Doritos, regular tortilla chips, lime tortilla chips, chili cheese Fritos… the sky is the limit. 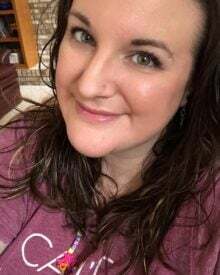 My kids love the “walking taco” meal, which is where a lunch-box sized bag of Fritos is opened and topped with taco meat, cheese and toppings. This makes a portable taco salad, which is popular with kids everywhere! Topping this casserole with the Fritos makes this feel just like that, and my kids go crazy over it! Yes! 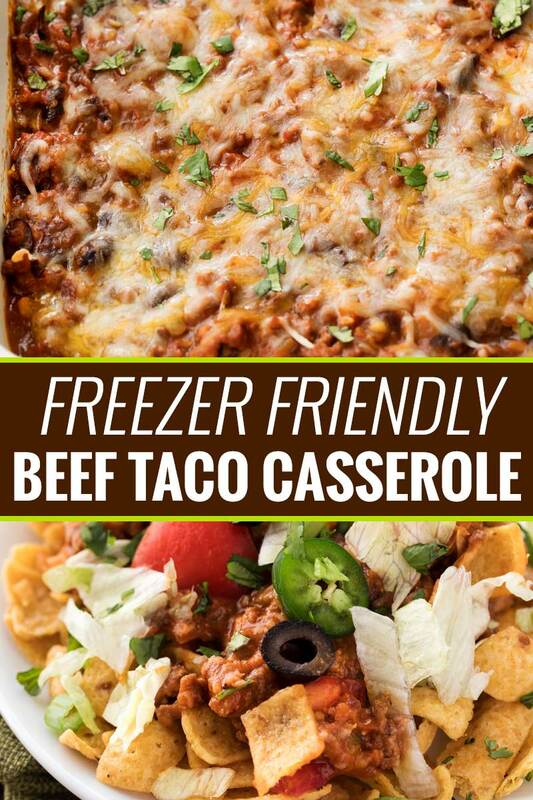 This taco casserole freezes beautifully, which makes it great for meal prepping, or even making a meal for a sick friend. To thaw, just set the casserole in your refrigerator overnight, and by dinner time the next day, it should be fully thawed. Full freezing instructions are below the recipe at the end of the post! Baking dish – this baking dish is a total workhorse for me! 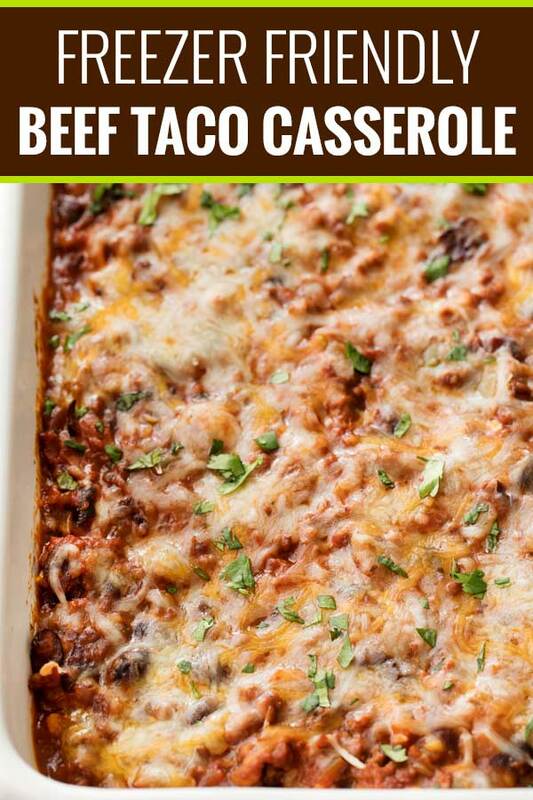 Want to try this Beef Taco Casserole? 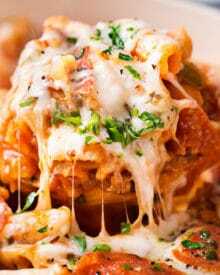 This beef and bean taco casserole is a fun twist on taco night, and is a great way to feed a crowd or hungry family! Preheat oven to 350 F degrees. Spray a 9×13 or 3 quart baking dish with nonstick spray and set aside. Heat a large, deep skillet over medium high heat and add olive oil. Add ground beef and cook, crumbling with a wooden spoon or potato masher, until browned and mostly cooked, about 4-5 minutes. Add onion and jalapeno to beef. 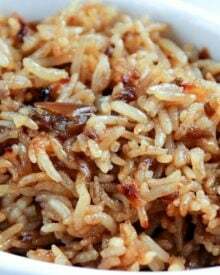 Cook, stirring often, until softened and fragrant, about 4 minutes. Add garlic and cook about 1 minute. Beef should be fully cooked and brown at this point. Drain any fat and return to skillet. Stir in taco seasoning, black beans, green chiles, salt, pepper, tomato paste and picante sauce. Cook 1-2 minutes. 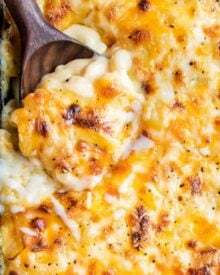 Set skillet aside and add 1 1/2 cups of shredded cheese. Transfer beef mixture to prepared baking dish and top with remaining 1 1/2 cups of cheese. Bake approximately 25 minutes, until hot and bubbly and cheese is melted. Top with desired toppings and serve! 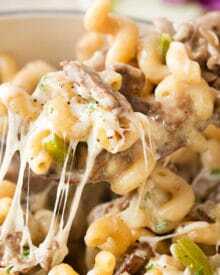 Cook beef mixture in skillet and assemble in baking dish, omitting 1 cup remaining cheese on top. Cool completely and cover tightly with plastic wrap and aluminum foil, then freeze for up to 3 months. Thaw overnight in refrigerator until casserole is completely thawed. 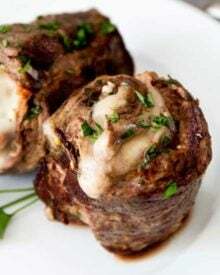 Remove plastic wrap and aluminum foil, set out on the counter for about 20 minutes, top with 1 cup of cheese, then bake at 350 F degrees for about 45-55 minutes, until hot and bubbly and cheese is melted. Salsa, Shredded iceburg lettuce, Sliced black olives, Chopped tomatoes, Sliced jalapenos, Minced fresh cilantro, Lime wedges, Frito corn chips, Cheddar Cheese, Sour Cream, Refried Beans. It looks amazing! Adding this to our menu this week! This is such a comforting dish! Delicious! My family would love this! I seriously can’t keep looking at these pictures! This looks so good I can TASTE it, and what a fun way to stray from your typical weekday casserole! 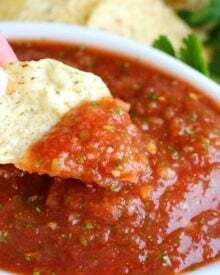 Mexican is me and my husband’s favorite so we’ll definitely be making this! Thanks for the idea! Such a great meal to have in the freezer ready to go! I love how easy that makes getting dinner on the table. Now THIS is my kinda casserole! 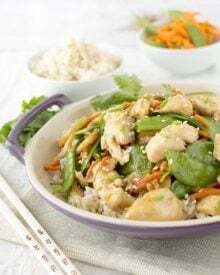 Love all the flavors and texture in this dish! Such a great party food. Perfect for summer parties!